SPOILER WARNING The following article contains spoilers for Deadpool. If you haven’t had a chance to see the film yet, and don’t wish for any part of it to be ruined, please click away to one of our other wonderful articles! 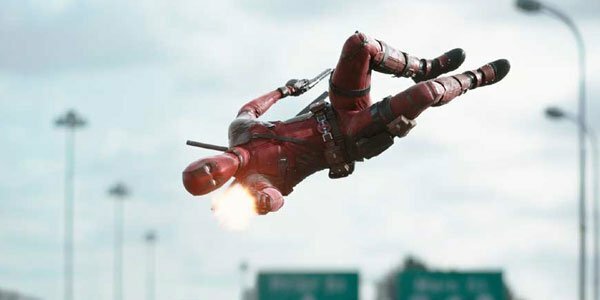 By normal superhero movie standards, things certainly do get quite weird at times in director Tim Miller’s Deadpool - but if we’re being entirely truthful, the film doesn’t get half as weird as the titular character’s adventures in the comics, which are regularly filled with truly odd-ball characters and ridiculous plotlines. Of course, now that a Deadpool 2 is on the way, you might think that the floodgates will be wide open to make things as bizarre and weird as possible, but writers Rhett Reese and Paul Wernick have stressed that those kinds of things ultimately require small steps as a franchise grows. I think some things work better in a comic than it might on screen. That’s not to say we can’t explore some of these crazier things, but whether you’re talking about a severed head that’s talking, or Squirrel Girl, or any of the number of crazy things that have happened, I think we just have to be careful to take baby steps into territory like that and not get too crazy too quickly. We’ve got to lead a broader audience slowly down that road and I think if you were to look two or three movies down the road, you’re probably going to see a lot crazier stuff than you're going to see in this movie number two necessarily. So I think we’ll push it for sure. We’re certainly not shy about pushing the envelope. It’s worth noting that Paul Wernick said this before Deadpool managed to shock the world by making $150 million in its first four days in domestic theaters. It’s pretty clear that movie-going audiences are fully willing to embrace the bizarreness that makes the titular character so strange, and surely the two screenwriters will take full advantage of that in Deadpool 2. That being said, one could hardly blame them for not wanting to go too crazy with it too fast, making the incredible risk of alienating the audience. Right now we really don’t know much of anything about Deadpool 2, but surely one thing that will help keep things a bit strange will be the promised presence of Cable. The son of Cyclops and the clone of Jean Grey, the mutant character has one of the strangest backstories in Marvel Comics, involving getting infected with an organic techno-virus at birth, requiring his parents to send him into the future in hopes that a cure will be found. He is a guy with a glowing left eye, a bionic arm, incredible telekinetic and telepathic abilities, and does a bit of time traveling. It will definitely be an interesting experiment to see how he’s translated for live-action. How bizarre and twisted do you think things should get in Deadpool 2? Do you think Rhett Reese and Paul Wernick are making the smart move by playing things conservatively, or would you rather see them go buck wild with it? Hit the comments section below with your thoughts!